Dawn of War III, as mentioned in my previous blog, has adapted more rules from the tabletop version of the game than ever before. Obviously it remains vastly different; faster, more explosions, and less running around a table with a 18 inch plastic ruler. But strategy is strategy, and in the 41st millennium there are some things a tabletop general can teach a keyboard warrior. Not to sound too much like a cheesy kung-fu movie, but you must be one with your army units. You must know their stats, their weaponry and their abilities. Dawn of War III is a game that expects you to use your units’ special abilities and upgrades to increase their effectiveness. It becomes key to know exactly when and why to upgrade your tactical marine squad with a plasma gun or a flamer. Also, do you know the optimal time to call down your Elite and Super units? Do you know that the Morkanaut excels at range but not at melee? These things you must know to succeed. Understanding your own units is half the battle, you must also know your enemy. This will allow you to see holes in your enemy’s army, and be able to exploit their weaknesses. On the tabletop you will usually only get one chance to charge at the enemy’s’ gun lines, and if you didn’t realise they were ‘rapid fire’ weapons (they can fire twice if its under half the range), you are going to have a bad time. Although you can always build more units in Dawn of War III, better to get it right the first time and perfectly counter your opponent. One thing Dawn of War has always brought to the (virtual) table, is the army painter feature. Nothing makes you more proud of your army then having turned them from grey bits of plastic to a mighty, colour-coordinated fighting force. 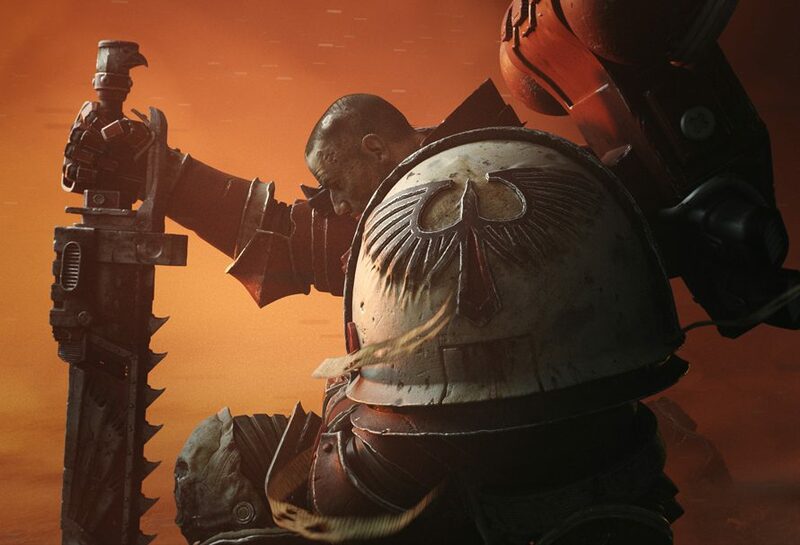 You can have a feel of this satisfaction in Dawn of War, by choosing the paint scheme of your army. Quite a few presets are already in the game for each of the races’ different chapters, clans and craftworlds, so you can play your favourite if you have one. But if destroying your enemy with a pink and gold ork army would make you happy (and why wouldn’t it), then the option is there. You want to know roughly what your plan is, so that all your decisions can be based off of that. Reacting to what your opponent is doing is good, but it shouldn’t be your overall strategy. Practice the same builds that you like, and stick to them. Use the units that you like and find effective. Change in small amounts if you’re not doing as well, but stick to the grand plan. It may be worth having a notebook on things you’ve noticed about facing different enemies, or weaknesses in your own strategy. For example if you’re going for an early rush, you should come up with a way to get to the mid-game without losing momentum if your rush fails. Or just don’t rush. Noob. If strategy is your overall plan, then tactics is your mini plans to beat your opponent in all the little engagements you’ll have. You’ll probably pick up some good tactics as you find out what’s effective. Using assault marines to jump into eldar troops and secure points on the map, or using Gabriel Angelos to hammer the hell out of that ork meganobz squad. This is where knowing yours and the enemy’s army comes in. If you know “my guys are stronger than your guys”, then you know to engage, or if not, retreat to fight another day. When you play Warhammer tabletop, you will roll hundreds of dice. Thousands, if you’re ork. This means that luck is a part of winning, so just be lucky, and you’ll do just fine. Practice rolling sixes, and psyching your opponent into rolling many ones, and there will be no army you can’t defeat. Dawn of War III features mechanics that are ruled by luck, such as the ‘gets hot’ rule of the plasma guns, where they’ll stop firing every now and again. But that only happens when you roll a one, which you should be practicing to not do ever. There’s finely balanced multiplayer experiences, and then there’s 3v3. The more armies on the battlefield at one time, the more unbalanced the game will become. This is not necessarily a bad thing; there’s a time and place for just having fun, win or lose. Be prepared though for 3-army rushes, regular 2-on-1 situations, and players who will just rush up the tech tree to muster an army of the best units in secret. Still, it doesn’t mean that you and your friends can’t come up with some hair-brained scheme of your own! Learn the ways each army can benefit each other and cover each other’s weaknesses, and you’ll do better than half the other teams out there. That’s our tips for you, did you find them useful? 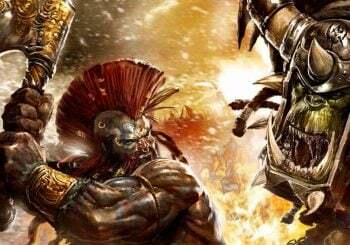 Do you have any RTS or 40K words of wisdom for players about to embark on their first multiplayer experience?